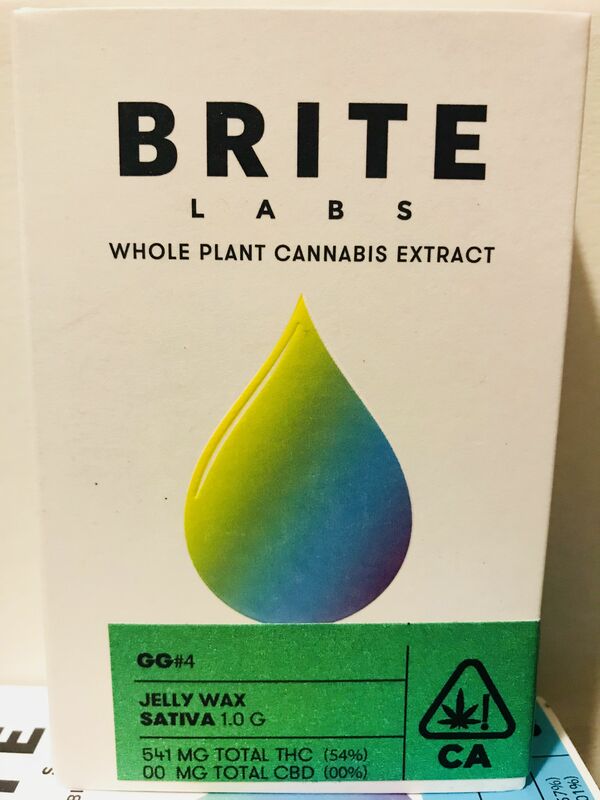 IN GLASS: GG#4 54% THC New premium wax extracts deliver a potent cannabis experience. Each formulated batch starts with strain-specific California cannabis. The cannabinoids are then carefully extracted from the plant matter with CO2. Our methodologies maximize the natural terpenes and cannabinoid profiles found in each strain. The end result is a soft, pliable, jelly-like consistency that is easy to apply and a pleasure to taste.